Living a Fit and Full Life: Dive into the Bible with The CSB Study Bible For Women from Lifeway! Dive into the Bible with The CSB Study Bible For Women from Lifeway! Dive into the Bible with The CSB Study Bible For Women from Lifeway! 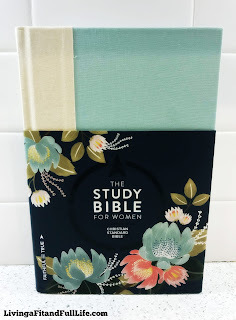 The CSB Study Bible For Women from Lifeway is absolutely gorgeous and has just about everything you need to dive deeper than ever into God's Word. With extensive study notes, over 500 word studies, introductions to each book of the Bible and a comprehensive concordance including every woman and reference to women in the Bible you'll learn more than ever before. It's the perfect way to start or end your day that you'll truly enjoy! The CSB Study Bible For Women from Lifeway is the perfect Bible for women to help them study God's Word like never before! 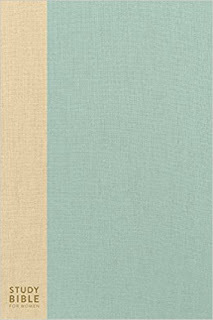 You can find The CSB Study Bible For Women on Amazon, Lifeway and other bookstores. To learn more about Lifeway click HERE! 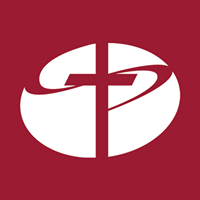 Follow the Lifeway on social media! Get the Perfect Summer Glow with St.Tropez! Get Beautiful with RoC Skincare Products!